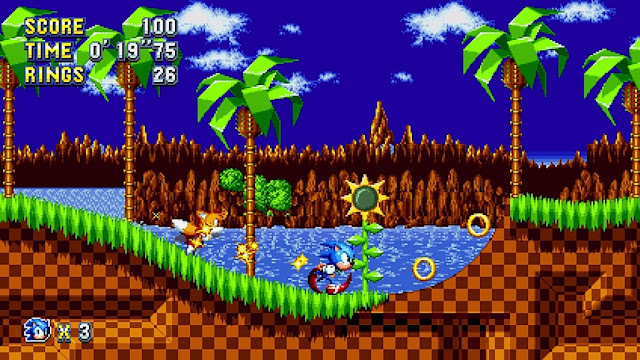 Indie Retro News: Sonic Mania - Sonic, Tails, and Knuckles are back in this glorious platformer! Sonic Mania - Sonic, Tails, and Knuckles are back in this glorious platformer! Sonic Mania also features new zones and remixed classic levels from past Sonic games, and will offer three playable characters (Sonic, Tails, and Knuckles), all through pixel perfect 60-fps gameplay. As someone who is a huge fan of Sonic, ever since I played it on the Sega Genesis all those years ago, and then the Sega Game Gear, I seriously can't wait to try this latest release on Steam!